I was lucky enough to be invited along to the launch party of the Grillstock smokehouse in Leicester. Bring a couple of people with you they said, and I knew just the two!! Located in St Martin's Square in the heart of the city, not too far for us to go, with plenty of parking available, on street if you're lucky, if not the Highcross multi-storey is not too far. I like meat, just not masses of it, and I like it really lean so don't eat burgers or sausages, Mr C and our son Tom however can eat meat by the truck load so they were very pleased to be coming along. We were greeted with a warm friendly smile, names ticked off and told to grab a drink and take a seat, the food would be served in due course. I started with a refreshing American style cloudy cider, which hit the spot. The boys had beer. Throughout the evening they sampled lots of different ones as you can see! Tom started with a bottle of flying dog which has hints of grapefruit and spice, I had a sip and it was different. We arrived quite early and the next time I turned round the place was full to the brim. There were big groups of people nattering, laughing and generally looking real happy, which is just what you expect at a BBQ right? 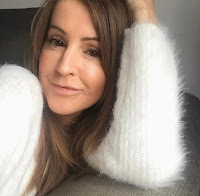 I like the fact that they have a very large picnic style table down the centre of the room, and it looked like groups that hadn't arrived together were all excitedly chattering away. The boys were getting very excited at the sight of the food they could see starting to appear. Lots of yummy, sticky BBQ food was delivered to us at our tables, we had a feast of wings, ribs, burgers, and they delighted us with little pots of Hillbilly chilli, burnt ends, and pulled pork which was to die for!!!! Toms face was a picture every time he tried something. He loves ribs and these were his favourite, that is until he tried the pulled pork. It was moist and ridiculously tender, melt in the mouth good. "Oh. My. God" where the only words that he could utter. That was his new favourite until he was given a pot of the burnt ends!!! Meaty hunks of burnt brisket ends, the kind of bits you'd scrape off the bottom of the pan, so tasty and packed full of flavour. Hands down, no question, they won the crown. My favourite though was definitely the pulled pork, smoked for 18 hours, pulled and a little touch of BBQ sauce added. Mr C couldn't choose his favourite. Just to add they also have a great choice of sauces for your meat too. Mr C gnawing on a rib. You don't stand on ceremony here, fingers are all the cutlery you need. It's good old get stuck in, finger licking food. Because it was the launch party we got to sample most things on the menu and the trays of food just kept coming, more ribs, more wings, more pulled pork! We were asked if we'd like a cocktail, stupid question! Rockabilly sours all round, which were made with Sailor Jerry rum. I not a massive fan of rum but these went down quite nicely, and yes, we had two or maybe even three, think we'd lost count after all the beers and cider we'd had. 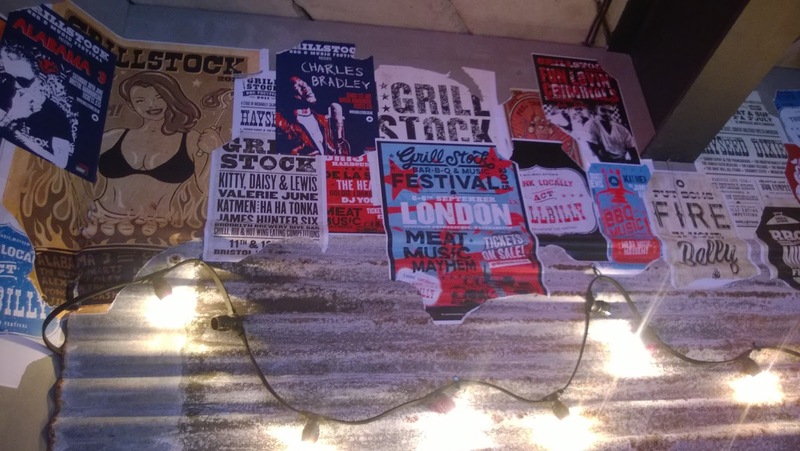 Grillstock are not only passionate about their food but also about their music, which I think was a mix of tunes from the deep south, and blues with a bit of rock thrown in. Big round of applause for the fries too. Not sure what they were coated with but they were crisp on the outside and fluffy on the inside. Perfection. I ate a tonne of theses. In fact I actually asked for more!!! The staff kept on bringing more and more food but we got to a point were we had to decline as we were all BBQ'd out and couldn't even get off the seat. 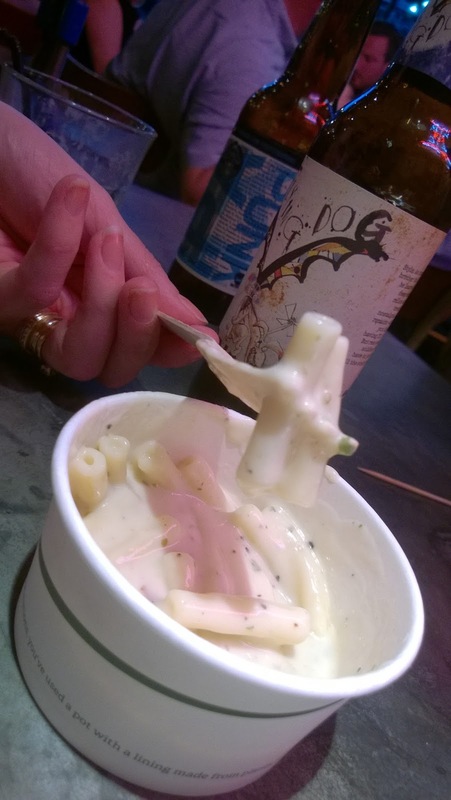 Although I had room for a little pot of the mac 'n' cheese. I couldn't go home without trying some for you guys could I? It was yummy, but a little bland on the tastebuds after all the deliciousness. It was cooked well and nice and cheesy but for me nothing to shout about. Just mac 'n' cheese. The mean old smoking machine. This place has such a cool, chilled out vibe with posters of the Grillstock music festivals adorning the walls. The food and music festivals take place in the summer and apparently sell out real quick. I'd love the chance to go and if you fancy a peek click here. We've not eaten good old proper BBQ food in the states but I am pretty sure this place is up there., we were to disappointed and it was every bit delicious as we'd hoped it would be. If you are a fan of all things meat then this is definitely the place for you, what the hell are you waiting for? Check out the menu here and plot your route to meaty heaven. No reservations taken, just get yourself down there, get stuck in and thank me later. 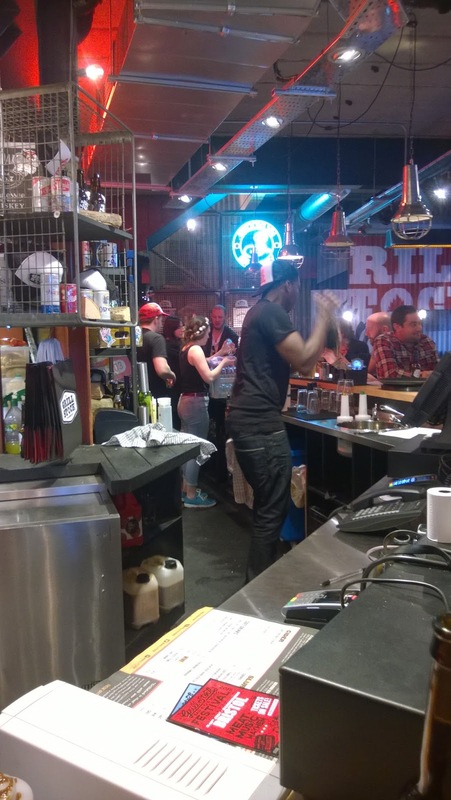 Have you been to a Grillstock smokehouse? Have you been to one of their music festivals?